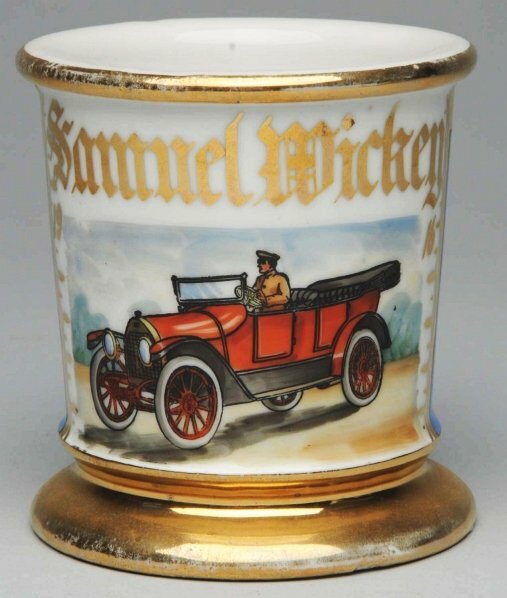 Gilt name “Samuel Mickey 1916”. Blue wrap. 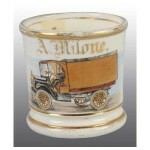 Nice image of an open air auto with driver. Size 4″ T.